Bass Boomers from GHS are among the most popular types of strings currently used by electric bass players. 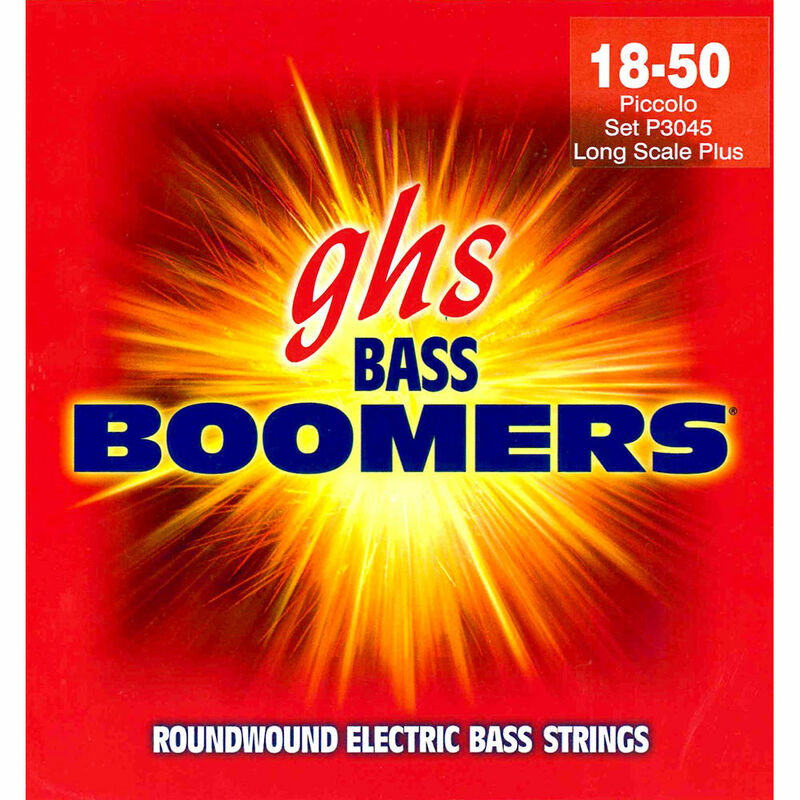 This set of P3045 Piccolo Extra Long Scale Bass Boomers delivers the classic power-string sound with brilliance, volume, and sustain, which is ideal for rock and funk. Made with nickel-plated steel tightly wrapped around a steel hex core, these strings produce a warm and balanced sound with plenty of punch. Their extra core strength makes them durable and long-playing.